How do you make the perfect iPad even more perfect? Protect it in style—with a superthin screen cover for wherever you go. 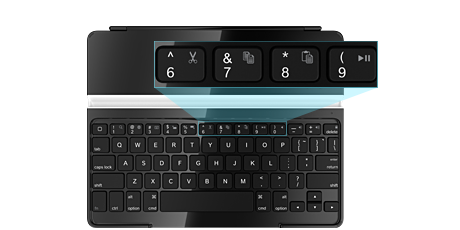 Add a Bluetooth® wireless keyboard—and you’re always ready to type with precision. A stylish, ultrathin aluminium screen cover that feels great and looks even better—designed to complement your iPad. In fact, it fits your tablet so seamlessly that you can hardly tell them apart. 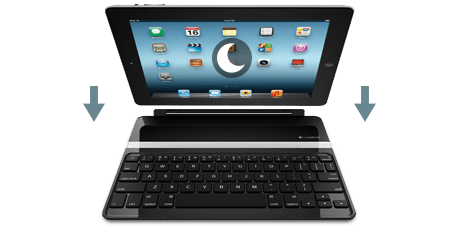 The Logitech Ultrathin Keyboard Cover securely attaches to your iPad—thanks to the clever magnetic clip. 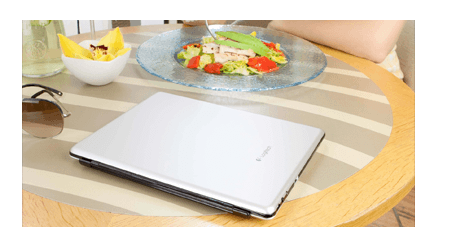 Aligned with the magnets built in the iPad's frame, it draws tablet and cover irresistibly together. Instant On/Off automatically wakes your iPad when you open the cover—and sends it to sleep when you close it. Images of iPad and case are for demonstration purposes only. Actual product may vary slightly. iPad sold separately.